Container software allows enterprises to package and deploy workloads efficiently while improving productivity. Containers are hot right now. 451 Research has estimated that the container software market will increase at a compound annual growth rate of 36 percent this year—from 1.1 billion in 2017 to 1.5 billion in 2018—and will continue to balloon to more than 2.1 billion in 2019 over 2.7 billion by 2020. 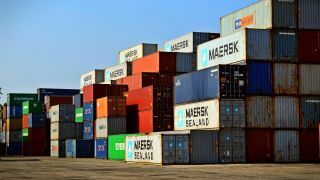 This fast market adoption of containers is being driven by several factors—including the fact that the world’s top tech companies from Microsoft and Google to Facebook and Amazon all use them, which has helped expedite market adoption. But why are containers seeing increasing use in production environments, and how can enterprises avoid container availability challenges in production that may arise now that containers have become part of the mix? Some new research can shed some light on these issues and more. Part of the reason that containers gained popularity so quickly was due to good timing with cloud computing. Application container software like Docker arrived in the market at the same time that enterprises began adopting more cloud computing applications and workloads in the cloud and needed to find the most efficient way to package and deploy these. Yet while historically speed has been the top driver of containers, a study by 451 Research found enterprises are recognizing that productivity is where a lot of the speed benefits of containers comes from. The 2017 survey of 201 enterprise decision makers at container-using organizations found several top drivers of container use, as containers increase in importance to enterprise central IT teams, IT operations, and devops teams. These include efficiency, hybrid cloud integration, and portability of applications. Serving developers and speed also remain significant factors. Containers offer indisputable benefits in that they can provide a streamlined and easy-to-deploy method of implementing infrastructure requirements. They also provide enterprises with a lighter-weight alternative to using virtual machines (VMs). The 451 Research study showed that companies identify these advantages (and then some) after adopting containers into the enterprise. Developer productivity tops the list as the biggest benefit, particularly for faster and more iterative devops teams. Efficiency and competitive advantage were also found to be significant benefits, indicating that containers are helping organizations to move faster, more efficiently, and also more effectively to gain the clear competitive advantage that containers offer. The study also proves that the vast majority of decision makers now view containers as critical to attracting and retaining talent, revealing how significant a trend containers have become. The benefits of containers are clearly moving beyond speed alone as the industry continues to see strong growth, interest, and adoption of containers, including production. Yet enterprise decision makers point out some challenges of the tool as well. Not surprisingly, the biggest hurdles to container adoption according to container-using organizations are security concerns, followed by compliance and regulatory issues. Complexity and production use also rank among the biggest hurdles. This speaks to the fact that container applications are making their way to production, moving beyond test and development at the concept stage. As containers roll out to more central IT teams, IT operations teams, lines of business, and also management, they’re being confronted with these challenges. In the past, developers were the primary user of these tools, but the research shows that operations teams have joined the fray. This means that enterprises now need a way to integrate a container strategy that’s more than just a point solution for only developers, but is much more comprehensive. Getting container applications to production has become a priority, and with an added challenge being shorter timeframes in the market today because of the need for faster iteration and more fluid work between the development and the operations teams. My direct observations of various sectors—including healthcare, financial services, and government—echo the study’s findings. Regulated organizations always have security and compliance concerns, regardless of whether the focus is on containers, in the cloud, or even on-premises. Perhaps even more directly pertinent to today’s enterprise environments is the fact that we’re seeing a rapid move to production when it comes to containers, particularly compared to other trends. When it comes to the issues around production use, many enterprises are starting to care about high availability (HA), which can be a major challenge. Companies understandably want and need to ensure that these containerized applications remain highly available in production. The new research on these trends highlights the fact that organizations are moving beyond their initial uses for containerization—and since there’s a high bar set for HA by VMs, that same bar is now set for containers. Though containers are moving quickly into the mainstream, it’s not a full lift and shift over to containers. Instead, companies are looking at ways to manage their legacy applications, using containers for specific new projects. As they do this, issues can arise around complexity and knowing how to orchestrate not just new containers, but also existing legacy projects. The study also examined who benefitted from the speed advantages of containers, and found that containers are providing a little something for every stakeholder—from developers to IT ops teams to dev ops teams—throughout the process. The speed advantages are being felt not just in testing but also into production and deployment. Expanding beneficiaries of container usage means that processes must change as well. Up until about a year ago, most enterprises were running containers on top of VMs. While that was representative of the easiest way for them to serve their developers with containers, it is difficult to do so with high mobility as well as security, compliance, and regulatory controls. As I mentioned earlier, bringing containers into the equation allows enterprises to benefit from advantages in speed, efficiency, and portability, which likely will drive more containers running either separately from VMs or completely displacing them. The most likely future scenario will be the co-existence of containers and VMs, which means that the ability to manage both centrally will become critical to organizations. 451 Research indicates that 60 percent of enterprise workloads are on on-premises infrastructure today. In two years, that’s expected to reduce to about 40 percent as more applications move away from on-premises to fast public clouds and some private as well. The findings revealed that more than half of enterprise organizations are now leveraging multi-cloud infrastructures, but less than 15 percent have achieved true hybrid cloud deployments whereby delivery of applications and their dependencies and the data are all seamless across different clouds and infrastructures. The move to multi-cloud isn’t being done to make life harder for IT operators; it’s because different infrastructures make sense. So the main multi or hybrid cloud scenario that we see today is the ability for applications and workloads to be moved based on cost, performance, data sovereignty, and other factors where it’s the best infrastructure for a particular workload, giving organizations the flexibility to leverage whatever infrastructure is most effective. If you’ve been on the fence about containers and have worried about how to avoid container availability challenges in production, I’ll leave you with the following simple and clear admonition. One message I’ve heard increasingly among enterprise end users who are happily using containers is: try it. When you adopt containers, you’ll find that the set up, scripting, and automation are not that different than the alternatives you may be used to. If you dare to follow the leading tech firms in this space who have embraced the benefits of containers from the get-go, your production environment and entire organization will be glad that you did.